Our spectacular Cornish park opened in November 2016 making it the first one in Cornwall and is home to many exciting new features. There's plenty to experience with our interactive light games, the energetic activity zone and our new skywalk, where children and their adults can climb steps and rope bridges to jump off a 1.5m high platform on to a giant air bag. And, of course, there's trampolines – 66 of them, in fact as well as stunt zones, dodgeball, parent and toddler sessions, adult fitness classes, disco nights and a lot more, allowing 70 people to play at any one time for hour-long stints. 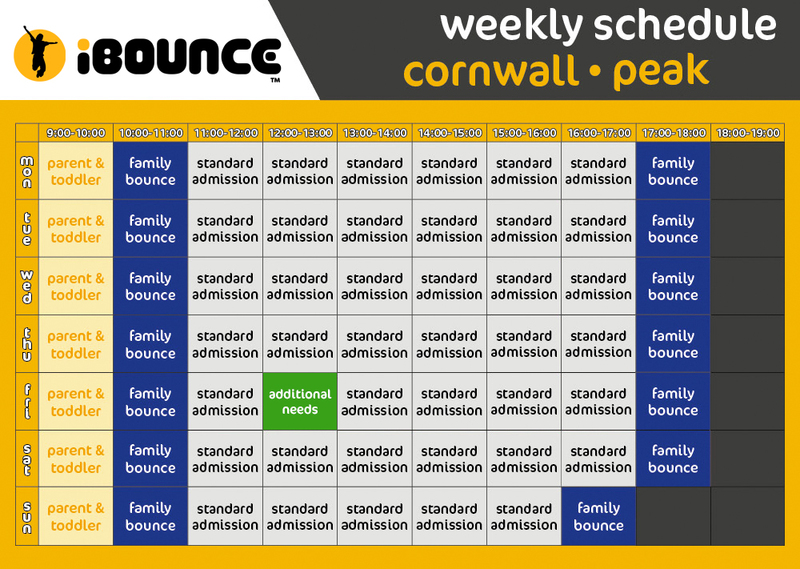 A real Cornwall indoor activity with a bouncing difference. Open all year, come along and have a bounce. 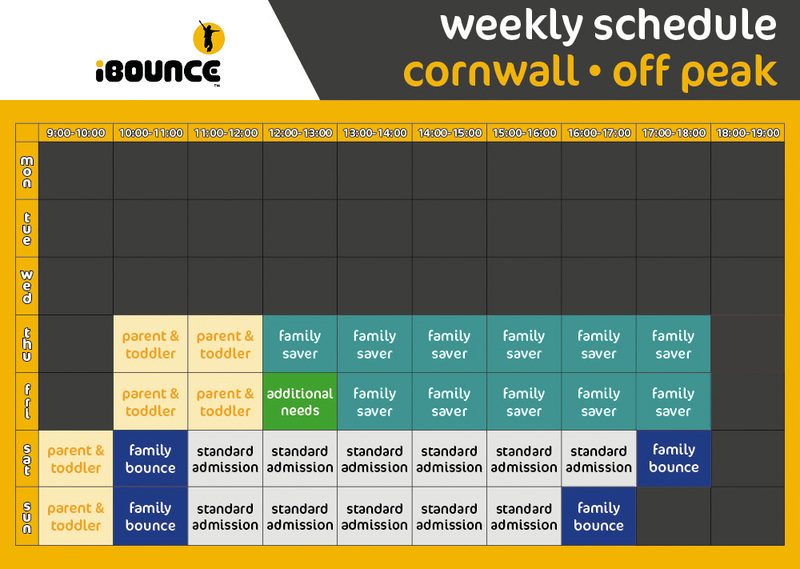 Please check here for the latest activity timetable schedule for iBounce Cornwall. Schedules can change often and at short notice so please check back regularly. We are easily found, located at Callywith Gate Industrial Estate, just off the A30. If travelling Southbound on the A30, follow signs to Bodmin. Once exiting onto Launceston Road look out for us on the right. A30 Northbound, exit at the Bodmin junction and follow signs for Callywith Gate Industrial Estate, we'll be on the left. If travelling Westbound on the A38, follow signs for Bodmin and then Callywith Gate Industrail Estate, we're on the left. Finally, if you're travelling from the Wadebridge direction, take the A389 through Bodmin and take the Launceston (A30) turning. Continue on for approx 1km and we're on the left.